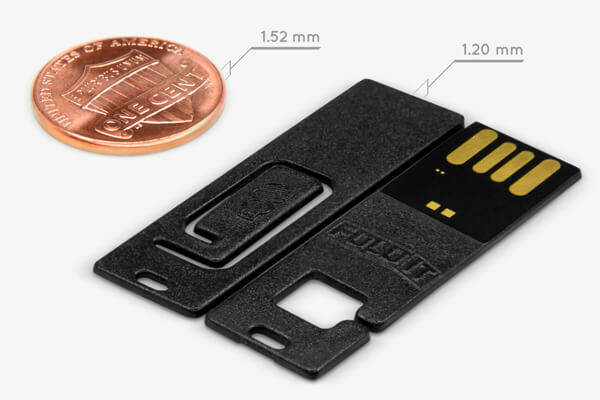 FoldIT® USB is the thinnest, most practical USB drive ever created, featuring patented technology which allows for a mindblowing, unprecedented total thickness of only 1.2 mm. About as thin as a typical credit card or bookmark, FoldIT® is ideal for fitting inside a wallet, a mobile phone case, book or notebook. When folded, the device is 2.4 mm thick, allowing it to be plugged into a standard USB port. FoldIT® features a highly versatile multi-functional design. Clip it onto your papers, snap it around your binder ring, slide it into your wallet, or tuck it inside of your phone case. The FoldIT® is an expert at camouflage, remaining entirely unnoticed, and leaving you utterly unperturbed - until it's called upon. 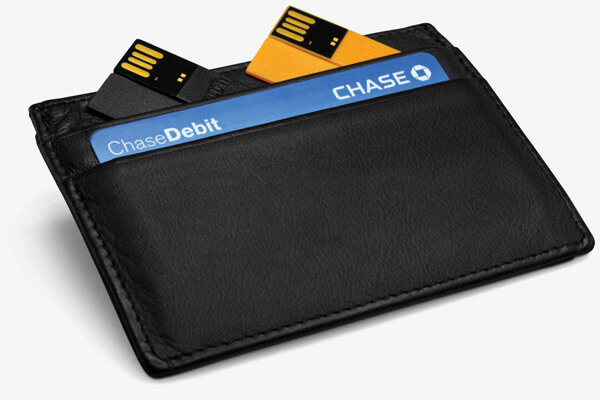 There has never been a more convenient, more accessible, or more portable USB storage device. FoldIT® features a rugged, yet flexible plastic-injected body with a living hinge capable of withstanding over 40,000 folds. 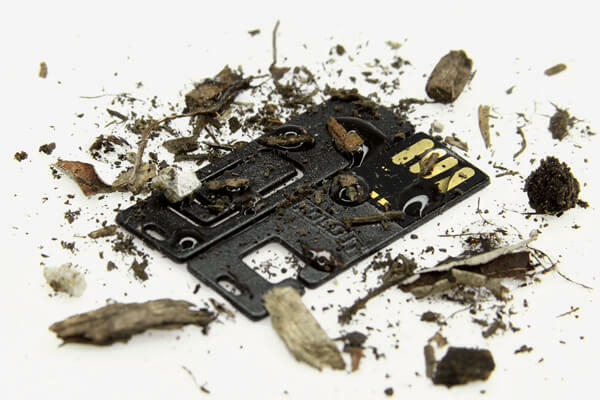 The USB chip is tough enough to withstand the highest forms of stress you can throw at it. Dirt and Dust Proof, Shock Proof, Water Proof, Roundhouse-Kick Proof, and Backed by a Lifetime Warranty! 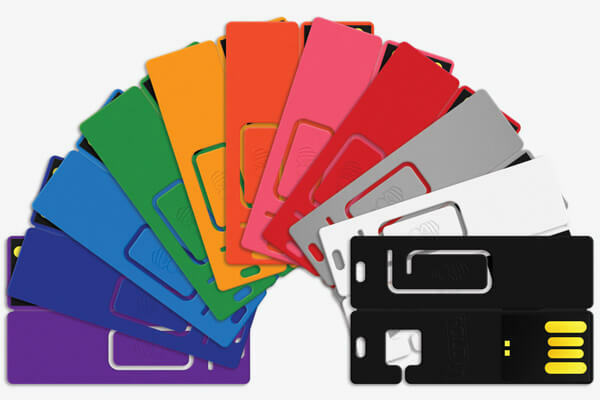 Choose from a variety of stock colors. Designed by ClevX®. Made by CustomUSB.